nanoStream 4.8 is available now for existing and new customers. 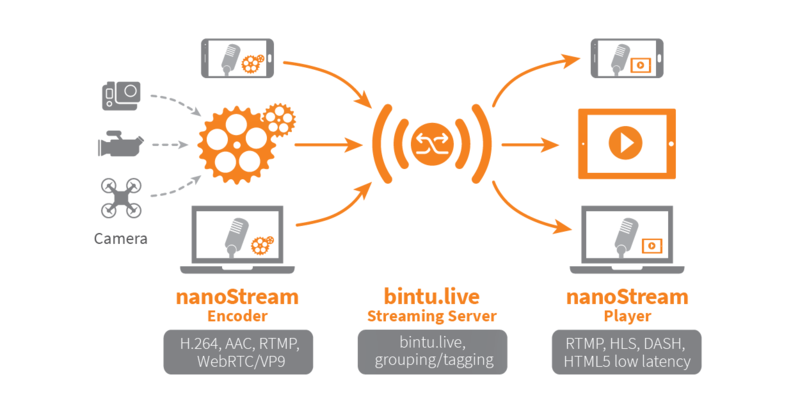 The Live Encoder and Player Software update includes improvements for low-latency end-to-end live streaming for cross-platform usage, improved meta data handling and many more improvements, including our bintu.live stream management platform. Our new WebRTC engine with H264 support and HTML5 low latency playback technology is also available for private preview now. Why is low latency so important?